The Animal Science Major provides a sound background in the basic sciences to prepare students for a wide range of jobs in agriculture and related biomedical fields. 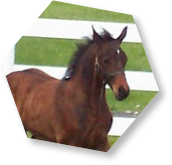 All incoming freshmen enter the program as Animal Science Majors and must declare either the Animal Biotechnology and Research Concentration or the Animal Management Concentration or starting in the Fall 2018 semester - the Equine Science Concentration. These concentrations will equip students with the skills to make them competitive in the job market after graduation. Qualifying undergraduate students may elect the Commonwealth Honors College program. Students interested in transferring to the Animal Science major should carefully read Changing Your Major to Animal Science or Pre-Veterinary Science. The Veterinary & Animal Sciences Department does not currently offer a minor, however students with strong coursework in other departments may consider a dual major. Students who have graduated from other majors at UMass Amherst or from other universities are eligible to apply for a second degree in Animal Science. 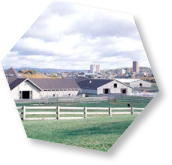 This site is maintained by the Department of Veterinary & Animal Sciences in the College of Natural Sciences.